What is a giant congenital nevus (GCN)? A giant congenital nevus (GCN) often appears as a dark colored patch of hairy skin. It is usually 20 cm in length in adults or 6-9 cm in infants, or a congenital nevus with more than 1% body surface area. The importance of the GCN on top of skin color change is that it can turn to melanoma, a type of skin cancer. A proper treatment plan needs to be discussed with parents after examining the lesion and reviewing the risk of malignancy and surgical intervention. Afterwards, parents can select a desired treatment plan. For those whom surgery has been planned, surgery is done to reduce the risk of giant congenital nevus to turn into a melanoma. 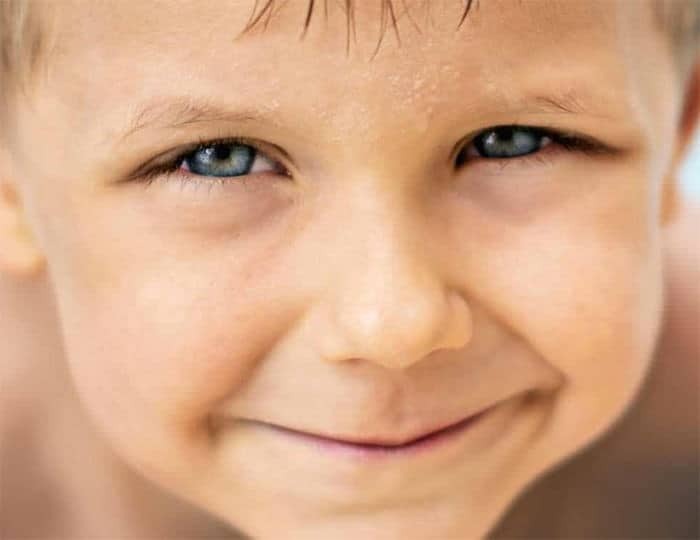 Ultimately, giant congenital nevus (GCN) removal in our certified facilities can also significantly improve the appearance of the patient and help avoid any psychological, social, or emotional damage this might cause for the child later on in life. What are the presentations of giant congenital nevus (GCN)? It is common to see a giant congenital nevus (GCN) in the arms, legs, mucus membranes, and in the palms of the hand or soles of the feet of our patients. A giant congenital nevus (GCN) is more commonly found in the upper and lower portions of the abdomen and back of patients. What are the treatments available for giant congenital nevus (GCN) for patients? Dr. Ali Totonchi Reminds parents to always have birthmarks or other skin irregularities of their child examined by a doctor so that early diagnosis and treatment can be provided, if necessary. Patients in Cleveland, OH with giant congenital nevus (GCN) are always advised to consider removal as a treatment option if appropriate as stated before. Our preferred method of surgery is placement of tissue expander (tissue expansion) and gradual removal of the lesion if appropriate. This is a multi-stage surgery and requires close cooperation of the plastic surgery team and family. Give us a call today at (216) 778-2262 for more information about giant congenital nevus (GCN) in Cleveland, OH or click here to shcedule an appointment.